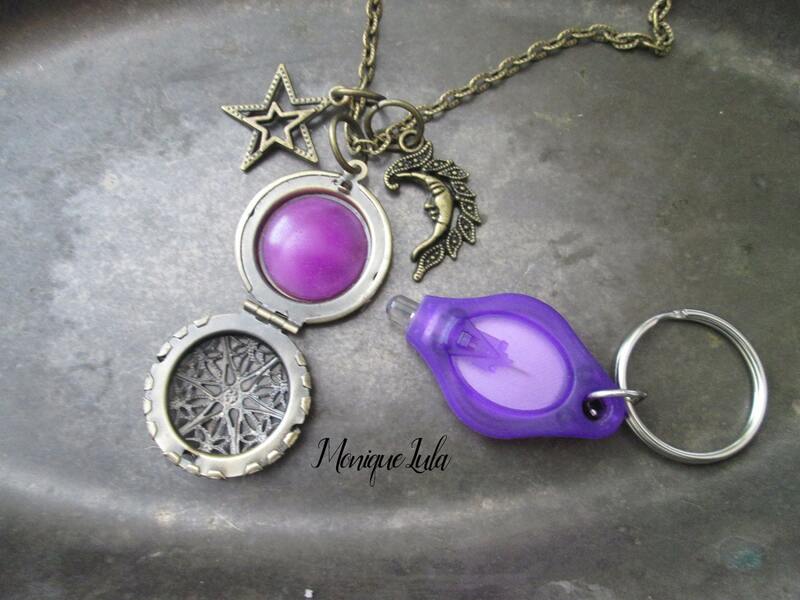 Moon and Stars Violet Purple Mystic Glow Locket® is handmade in the USA by Monique Lula and ships from California. This antiqued brass finish filigree locket is new vintage style and has a magical glow stone inside the locket that charges in the sun and glows in the dark. 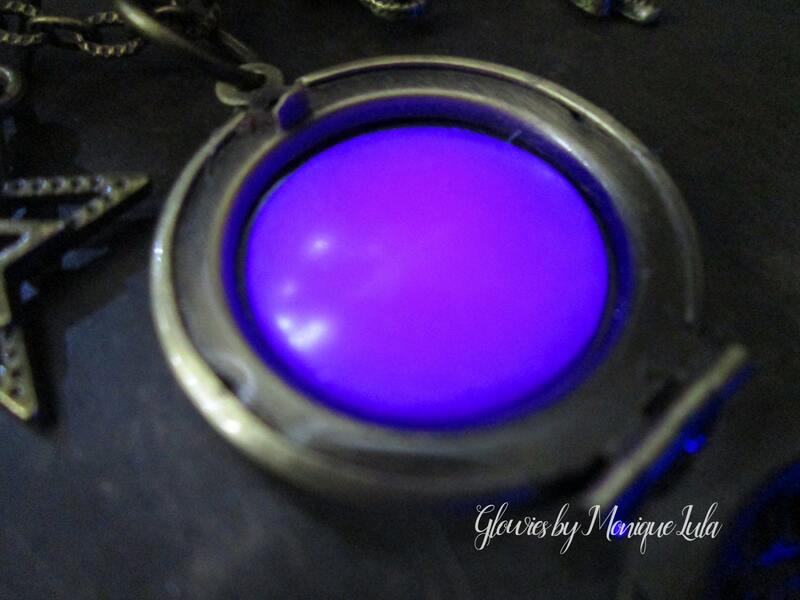 I also include a little keychain UV light that will charge your glowie too. 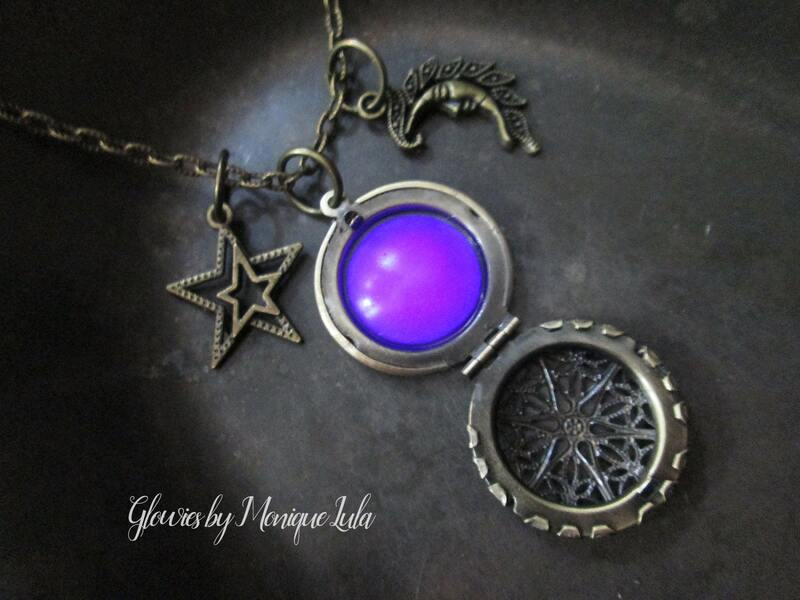 The Victorian style locket is about an inch across, and comes with the vintage style moon and stars charm in antique brass finish. Comes on a 24 inch link chain with lobster clasp. This necklace is so lovely and has a magical vintage feel when you wear it. It is so fun to walk inside and see your necklace glowing in the dim lighting. Goes great with all your Steampunk and Boho Chic attire. Charms are removable. 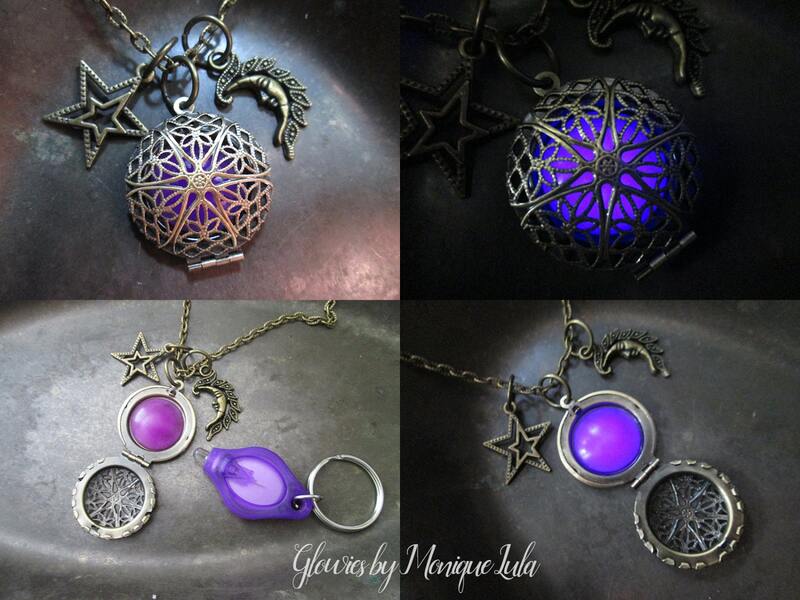 I make lots of glow in the dark jewelry and use crystals and glitter to create unique and magical small pieces of art you can wear. Follow me on Social Media to see my latest designs and contests. Join my mailing list to get discount coupons and flash sales. 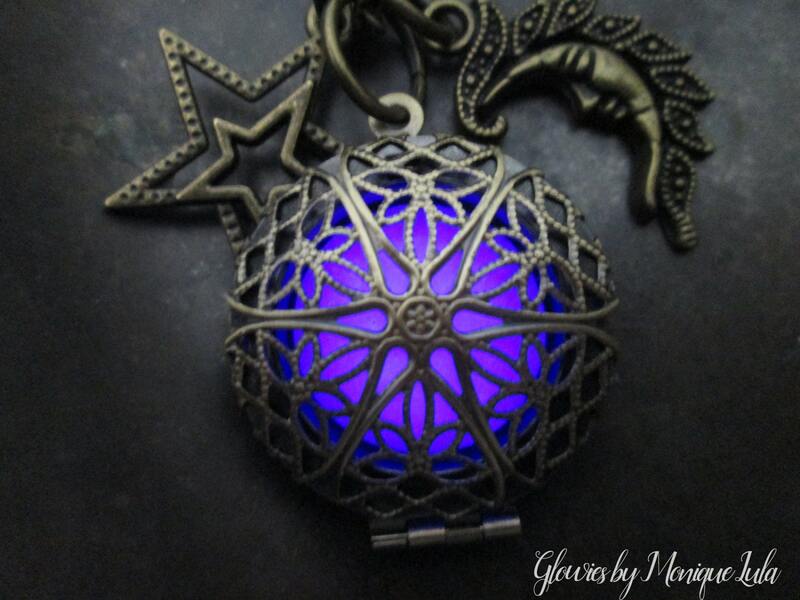 This Etsy shop has been opened since 2008, and I am so lucky to have sent Glowies® all around the world.